How do you encourage children to drink more water? Bright colors and bubbles are always more interesting than the liquid coming out of the tap. But, staying hydrated can lead to overall better health. 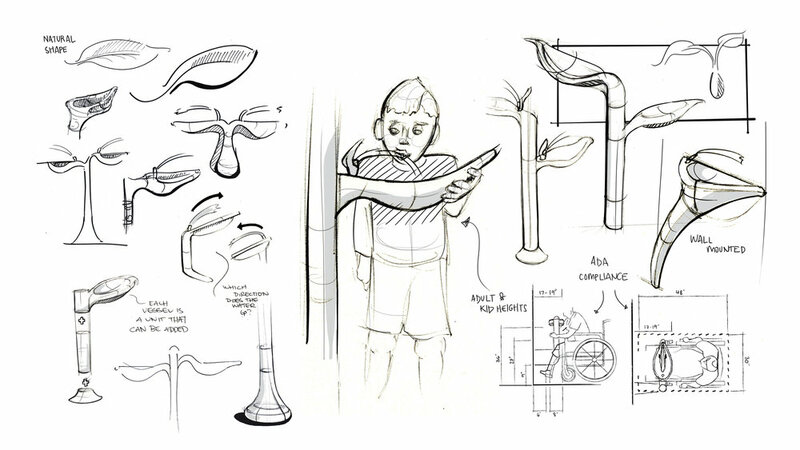 In an effort to make drinking water a more intriguing experience for grade school children, I set out to redesign the traditional drinking fountain. I created the Sprout drinking fountain system that can be customized for any school or park environment. To include children, parents, and people of all abilities, the system is ADA compliant and designed with universal design as an requirement.